Why Choose Eagle Plumbing & Heating? If you are looking for a reliable Bellingham plumber, make the right choice and contact the trusted professionals at Eagle Plumbing & Heating. Call us today at (360) 318-9999. For discounts and savings on many of our valued services, click here. Efficient plumbing systems are essential components to any home. You need a company that you can trust to ensure that these systems are always functioning optimally. The safety of your home and loved ones is dependent upon reliable plumbing services. Whether you want to schedule a routine inspection, need to repair a malfunctioning plumbing unit, or desire to upgrade a specific system, the certified professionals at Eagle Plumbing & Heating are waiting for your call. We provide quality service to all the residents of Bellingham and the surrounding areas, ensuring that any issue will be taken care of quickly and effectively. 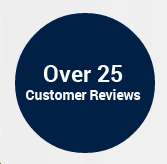 To see what other customers in your area are saying about our services, click here. If you have a plumbing issue that requires the immediate attention of an expert professional, get in touch with the trusted staff at Eagle Plumbing & Heating. Our team is ready and willing to provide residents in and around Bellingham with prompt and reliable solutions. Your feedback means a lot to us, so when we hear kind words about our service, it only makes us want to work harder. When you call our office for questions or concerns you will be greeted by a live professional that can walk you through any cautionary measures that you can take before our plumbers arrive. When our professionals get to your home we guarantee that the issue will be taken care of, and future problems will be avoided. If you are in need of professional plumbing solutions, put your trust in Eagle Plumbing & Heating. It doesn’t matter what time it is or how long the job will take, our emergency services are offered around the clock 365 days a year. We care about our customers, and know that major plumbing issues, like burst pipes or leaking gas lines, need to be resolved immediately. Your complete satisfaction is our number one goal, and walking away from a happy customer is truly the best part of our job. We work hard to establish lifelong relationships with our clients, by ensuring that you receive the best possible service each and every time. If you are in the Bellingham area, and looking for a company that you can always count on, contact the friendly staff at Eagle Plumbing & Heating. At Eagle Plumbing & Heating we aren’t happy with anything less than perfection. Offering outstanding services to the residents of Bellingham at the surrounding areas, our skilled professionals take the stress out of plumbing repairs and installations. There is no job that we can’t handle, which is why we continue to receive exceptional reviews from our customers. We will continue to keep up the great work, and that is a promise. Our professionals are constantly looking for new ways to make our service even better; it is our thirst for knowledge and love of the industry that drives us to excel, in addition to keeping our customers safe and happy inside their homes.